First, heat the pan and pour oil and heat for 2 minutes. Now, add Bengal Gram, Urad Dal, and Mustard Seeds Mix; add Cumin Seeds; add Cardamom, Cloves, and Cinnamon. Saute/Fry for 1 minute. Now, add Green Chillies and saute/fry for 2 minutes. 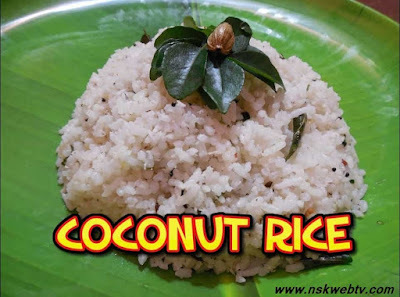 Now, add finely grind/grated coconut and saute/fry for 3 minutes. 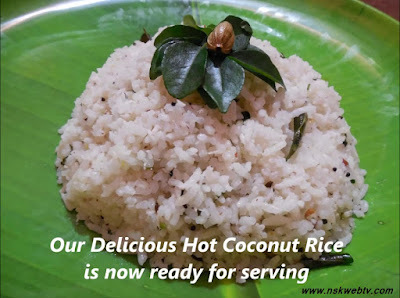 Can add extra oil required for better consistency. Now add coriander and curry leaves and add salt as required and saute/fry for 2 minutes until it turns a little golden brown in color. Now, add boiled plain white rice and mix everything thoroughly and evenly for 5 minutes until all the ingredients mix with the rice evenly. 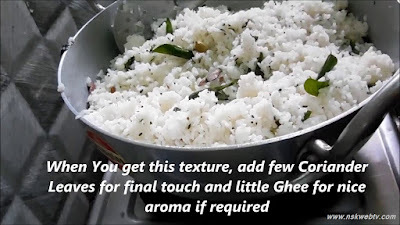 When you get a good texture, add few coriander leaves for the final touch and little ghee for nice aroma if required. Now, again mix all again for 1 minute and switch off the stove. 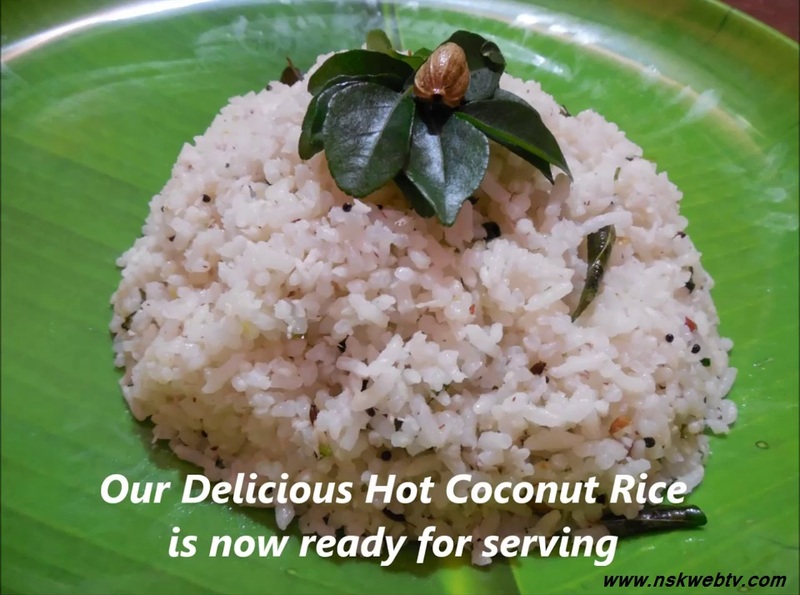 Delicious hot coconut rice is now ready for serving.